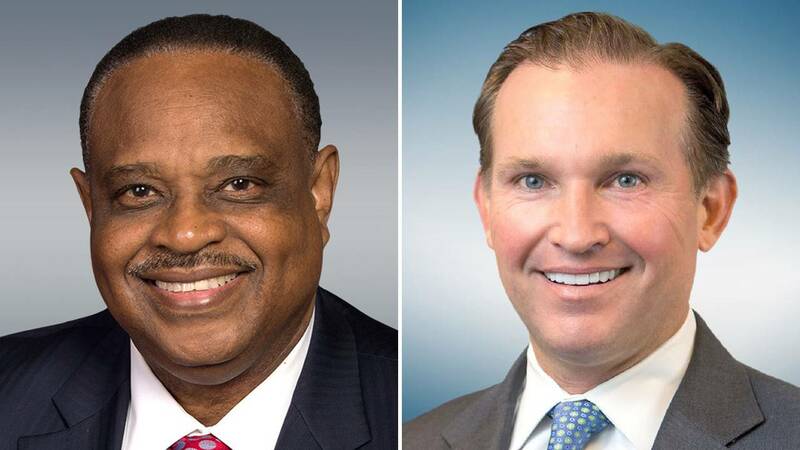 JACKSONVILLE, Fla. - Republican Mayor Lenny Curry faces two other Republicans and an independent in the March election. News4Jax confirmed on Thursday night that he received an important endorsement from a leading Democrat. Lenny Curry has been a strong leader for Jacksonville. He has focused on the issues that matter most to our community: fighting crime, creating jobs and creating opportunities for children in all neighborhoods. Lenny Curry has worked across the aisle to build partnerships that deliver results for all of Jacksonville’s families. He has earned my respect and support." Congressman Lawson has been a strong advocate for Jacksonville in Congress and I have appreciated our opportunities to collaborate in a bipartisan manner to keep Jacksonville moving forward." On Friday, the congressman representing Florida's 5th Congressional District, which includes most of Jacksonville, in Washington, D.C., told News4Jax his relationship with Curry began when they both worked in Tallahassee on state government matters. "I was impressed with the way he is gone to reach out across party lines to do something about crime and economic development and bring more jobs into the community," Lawson said. "So I endorsed mayors before. I endorsed Alvin Brown. I've endorsed mayors in Tallahassee. So it's not unusual for me to endorse in a race where I feel like they're doing a pretty good job and they need more time to continue the work that they're doing because crime is a large issue." Two write-in candidates are also running for mayor.